To extend its mission outreach, education and social ministry, The Lutheran Church—Missouri Synod works with independent Recognized Service Organizations (RSOs) that agree to ensure their programs are in harmony with the doctrine and practice of the LCMS. 501(c)(3) organizations that have been independently incorporated for a period of five years may apply for RSO status with The Lutheran Church—Missouri Synod. Looking for help near you? Our RSO directory can help you locate organizations in your area. 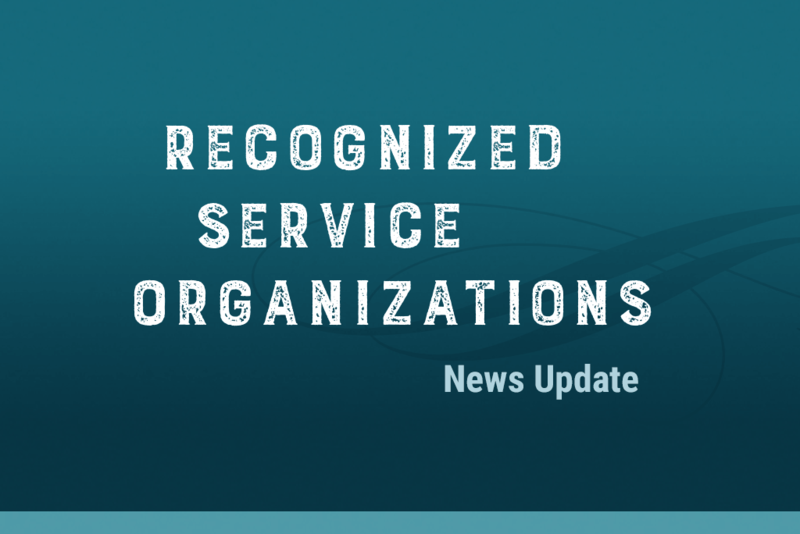 Please contact us for information about Recognized Service Organizations. 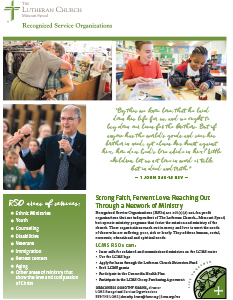 RSO News Update is the quarterly newsletter of LCMS Recognized Service Organizations (RSOs). Recognized Service Organizations (RSOs) are 501(c)(3) not-for-profit organizations that are independent of The Lutheran Church—Missouri Synod, but they operate ministry programs that foster the mission and ministry of the church. RSO organizations reach out in mercy and love to meet the needs of those who are suffering, poor, sick or lonely. They address human, social, economic, educational and spiritual needs.